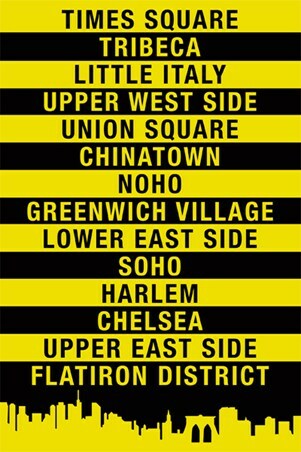 Art Maxi Poster: New York City is one of the most iconic capital cities in the world and this vibrant maxi poster shows the names of just some of its well known districts and boroughs. 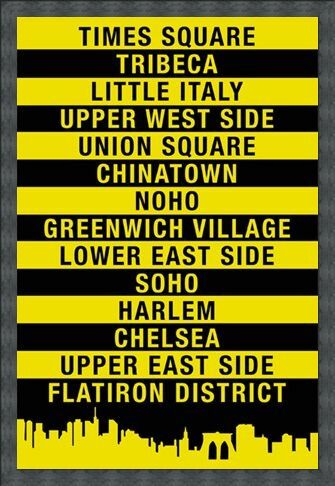 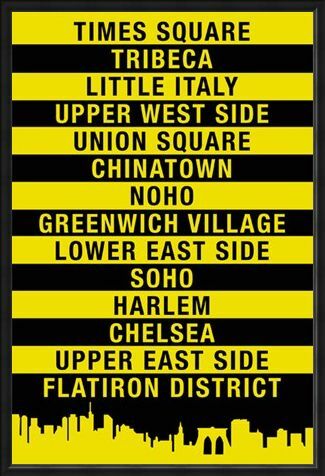 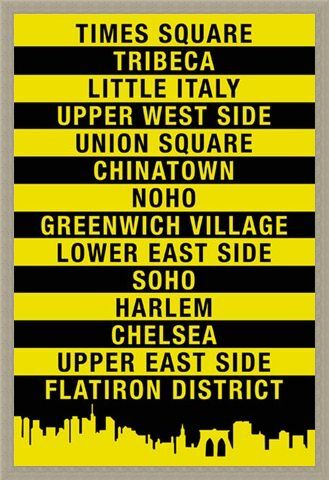 In yellow and black with the iconic skyline silhouette across the bottom, this poster names Times Square, Harlem, Chinatown, Tribeca, Greenwich Village and Flatiron District just to cover a few. 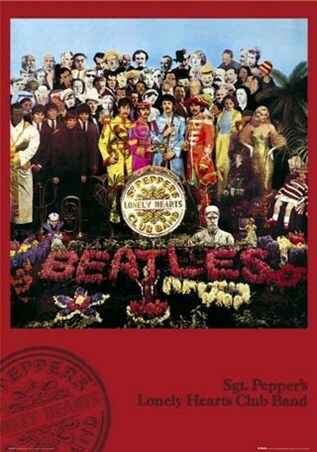 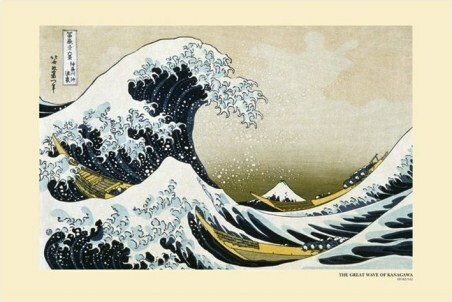 Perfect for anyone who has ever been to The Big Apple or admired its undeniable culture from afar. High quality, framed Signs of The Big Apple, New York City poster with a bespoke frame by our custom framing service.